Today we bring to you a video capturing the wondrous marine life our beautiful Caribbean Sea has to offer just off the coast of our neighboring island Caye Caulker. 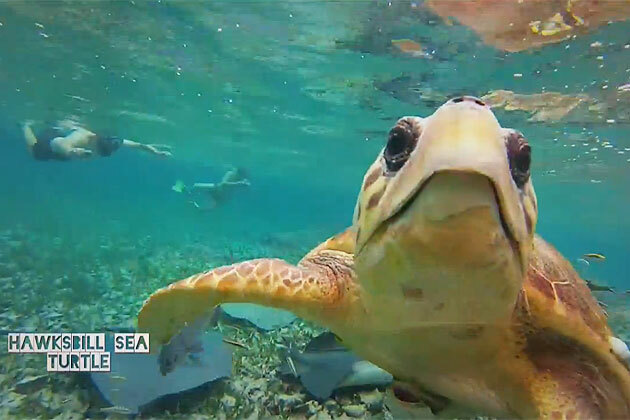 The video features “funny rays, lovely sharks, hungry turtles and thirsty people”. The videographer, Christoph Creutzburg, captures the beauty of some amazing spots around Caye Caulker. What makes the video more interesting is the song selection – the song “Belize” by Wayward. Wayward, an electronic duo consisting of Lawrence Gale Hayes & Louis Greenwood, last week revealed their new summer track ‘Belize’. The pair has been steadily gaining fans for the past year - evident from their hit counts on Soundcloud; some of which have reached 250,000+. As well as an understated infectious beat, the track incorporates chilled piano, atmospheric tinny echoes and lingering vocals of heartfelt lyrics. What more could you want?